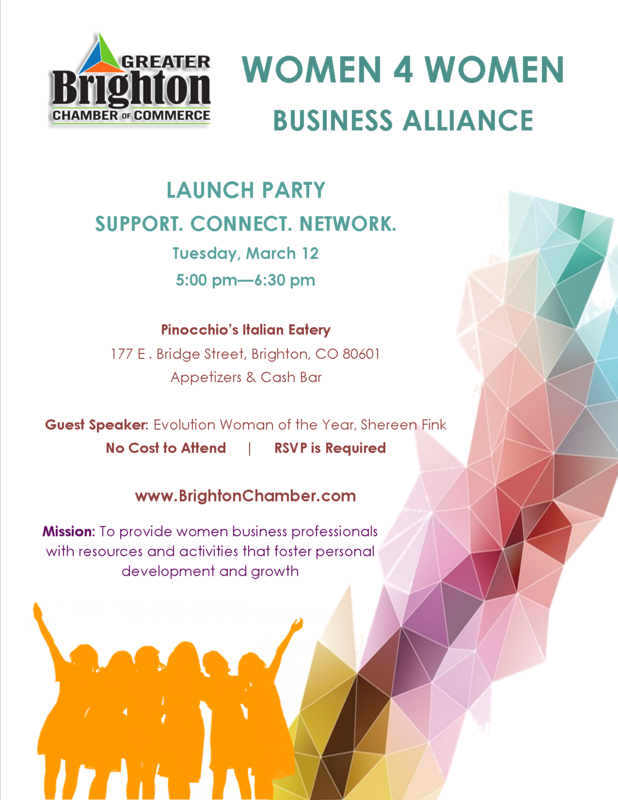 The Women 4 Women Alliance is a Greater Brighton Chamber of Commerce membership group. Any Chamber member in good standing has the opportunity to join the Women 4 Women Alliance. There is no additional cost to be a member of the Women 4 Women Alliance. Mission: To foster personal and professional relationships while providing networking opportunities for personal & business growth among women in Adams County. In 2018, more than 150 professionals, community leaders, and business owners attended our first inaugural conference. Evolution featured dynamic speakers, fun activities, and exhibitors from beauty and healthcare to business services and self-improvement. Attendees were also pampered with chair massages, makeup touch ups, professional head shots, prize drawings and specialty demonstrations. The day ends with a special reception where new relationships are formed and old ones renewed. Save the Date: 2019 Evolution Women’s Conference will be held on March 1st. The Women 4 Women Alliance will host events for networking, local business spotlights and great speakers! Held 7 times per year, these events feature topics of interest to women business owners, executives, managers and other professional women eager to grow. Once a quarter we will also conduct a fun Women 4 Women Alliance Activity such as Paint N Sip, Wine Tasting, Yoga and more.